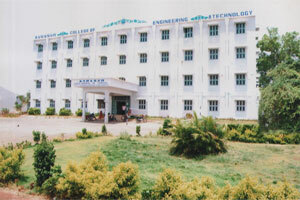 AVR SVR College of engineering and technology has established a full pledged training & Placement office consisting of T & P officer, faculty coordinators and Student Coordinators. The Training & Placement Cell handles all aspects of Training programs to the Students & providing Campus Placements for the final year students. Our Training and Placement Office is performing the following activitiesArranging in plant training for students.Training to suit various needs of industry.Inviting various organizations for campus recruitment.The Training & Placement Cell provides all audio visual facilities for PowerPoint Presentations, written test, group discussion and interviews. It plays a very important and key role in counseling and guiding the students of the institute for their successful career Placement which is a crucial interface between the stages of completion of academic program of the students and their entry into the suitable employment. This cell also coordinates various activities related to the career of the students along with the industrial training. TRAINING AND PLACEMENT ACTIVITIES In addition to campus placements the T & P section organizes programs such as mock interviews, group discussions, case studies, etc. It also organizes the program likePersonality development.Interpersonal & communication skills.Technical workshops.The Training and Placement Cell also guides and helps the final year students in securing jobs commensurate with their knowledge and achievements, by organizing campus interviews and exploring various avenues for their placement. The cell extends all possible help and provides all available infrastructure facilities to the organizations and their respective officials conducting campus interviews in the college campus.